The Sas-Vektor Adriana 36 was built in 2011 and is a fantastic motor boat for your next sailing holiday in Sukosan. This boat is located in D-Marin Marina Dalmacija (Sukošan), and is ideal for a relaxing getaway with your significant other or a getaway with your loved ones. 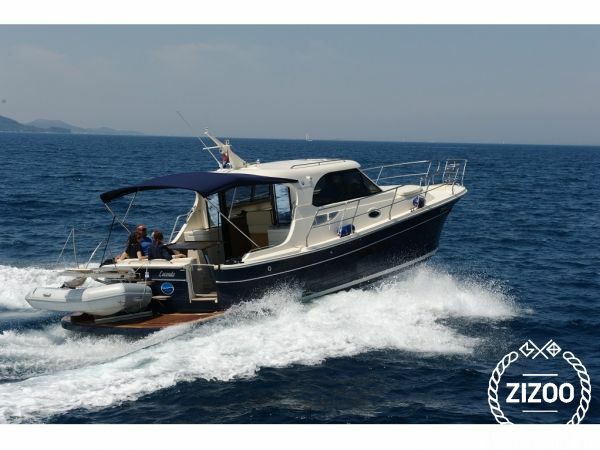 This motor boat is a spacious and attractive option for a wonderful boat holiday discovering all the hidden gems of the coast of Croatia. The Sas-Vektor Adriana 36 is a spacious model that is comfortable and perfect for your dream sailing holiday. Book it now and prepare to set sail! Die Beratung und Vermittlung waren erstklassig. Die Yacht war gemäß unserer Vorstellungen und in gutem Zustand. Requested 89 times this week!